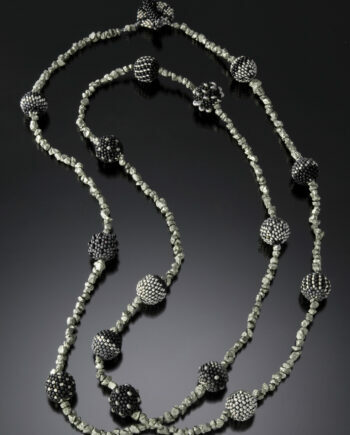 Sleek neutral tubes in shades of silver, black and gold- to adorn any simple outfit with understated elegance. 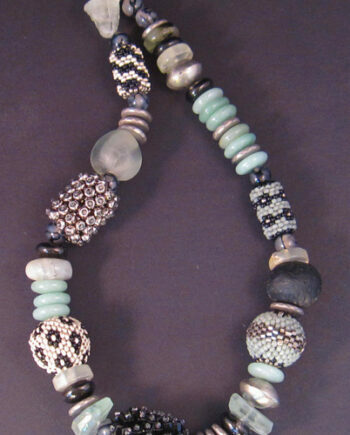 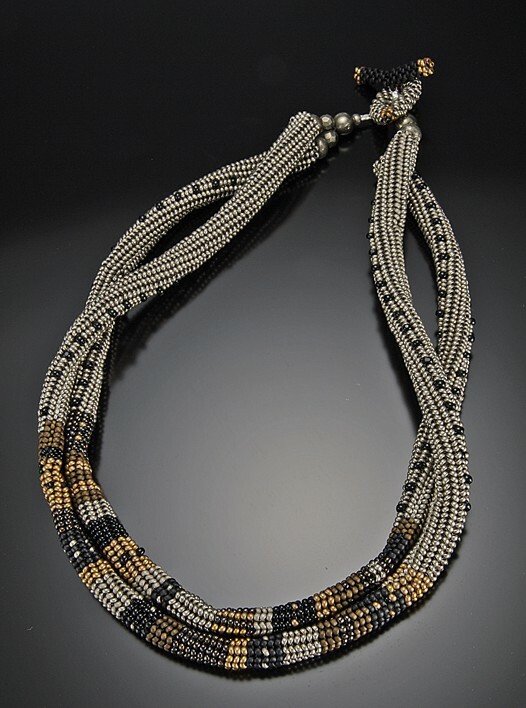 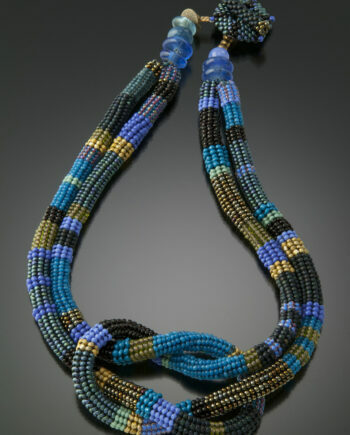 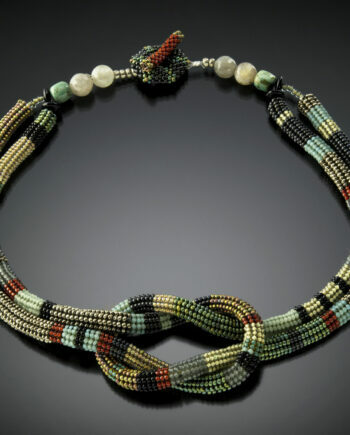 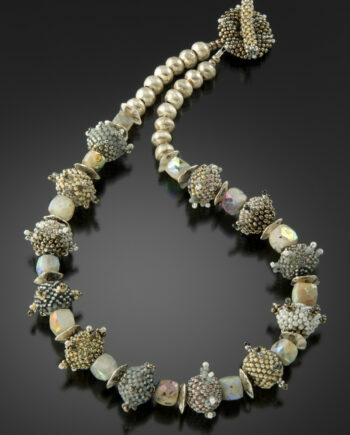 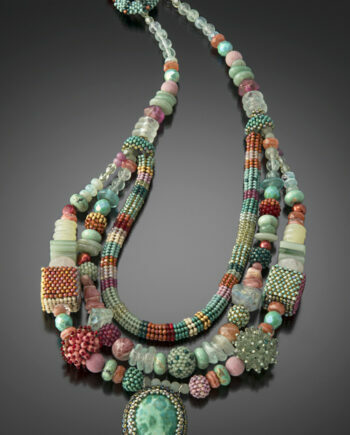 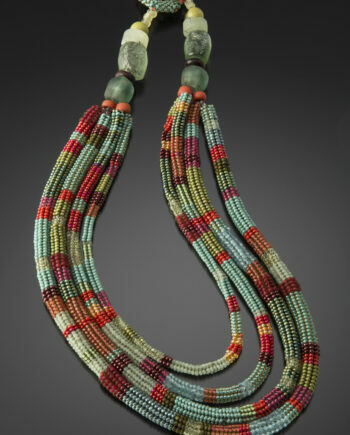 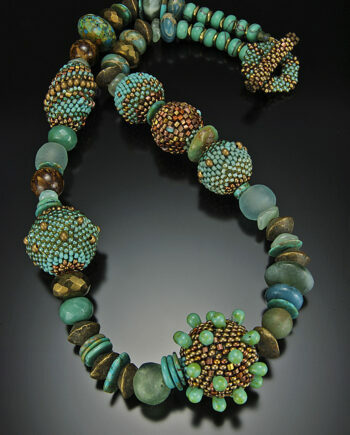 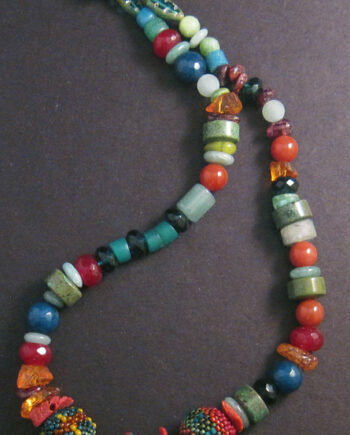 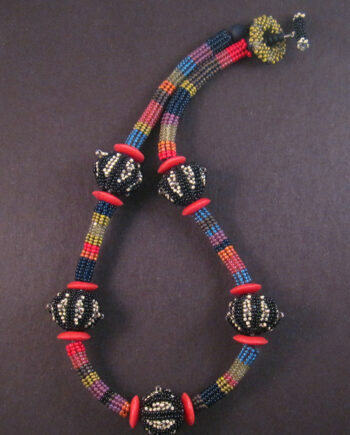 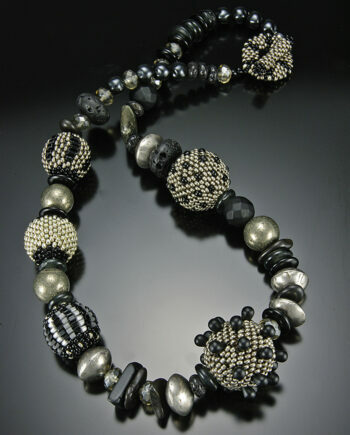 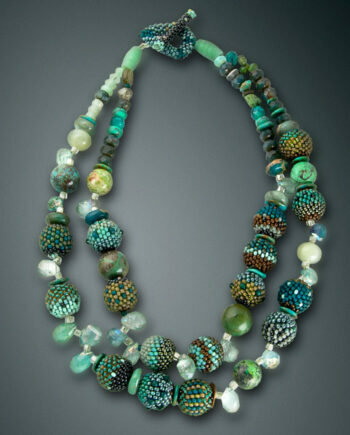 Glass seed beads and stones hand- woven with a needle and fishing line in a circular herringbone stitch tube, and then filled with glass beads for an ideal draping weight. 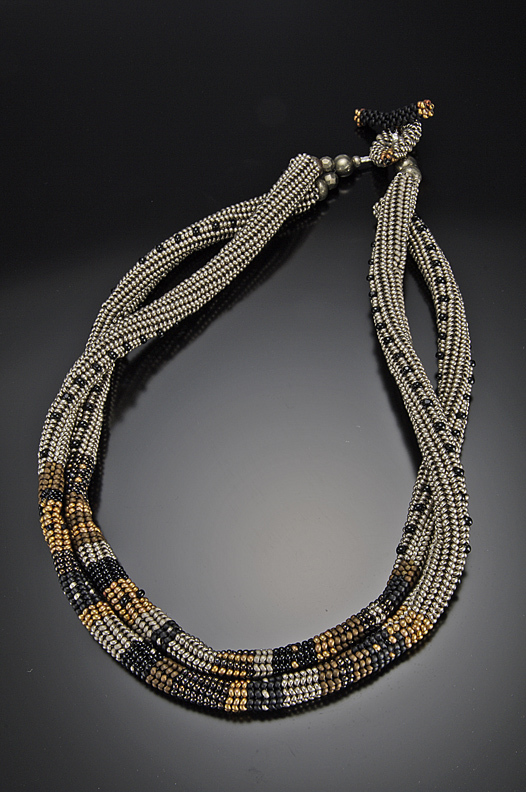 18-inch circumference at shortest point, with hand woven beaded toggle.